This is one of six castles that stood in the barony of Newcastle. A charter was granted to Newcastle by James I in 1613. This is a two storey urban town house, I presume there were originally more storeys. A stair turret projects from the north-west angle, see image above. 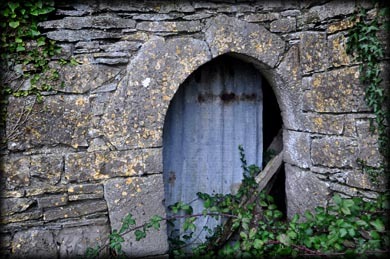 In the north wall next to the turret is the pointed doorway, pictured below. The tower house is in quite a dilapidated state, with breaches in the east and south walls. 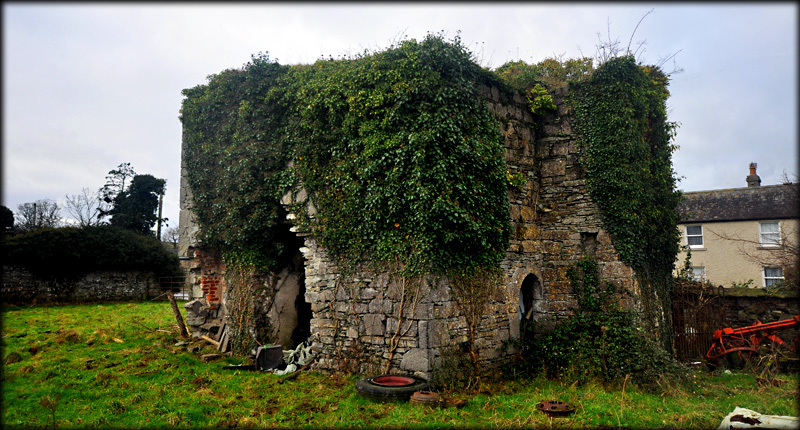 The interior is quite overgrown and the exterior is strewn with old tyres and farming equipment. The west wall can be seen from the roadway poking above the hedgerow, but honestly I would not recommend a visit. Situated: Heading west on the N7 take exit 4 and drive through Rathcoole on the R120. Go through Newcastle village and about 220 metres passed St Finian's Church, you should see the tower house on your left. Easily missed. Discovery Map 50: N 9948 2856. Last visit Jan 2018.